Come Laugh in the Dark with Tommy Keene this Thursday at The Bowery Electric | Will You Miss Me When I'm Gone? Guitar god Tommy Keene performs Thursday at The Bowery Electric. Maybe Tommy Keene has discovered the Fountain of Youth. Oh, don’t get me wrong. He’s aged. He’s not the skinny kid guitar-slinger he was when he exploded out of Maryland and onto the rock scene in 1982 with his debut album, Strange Alliance. He’s earned every line on his 57-year-old face. But his voice, searing guitar playing, and songwriting still have all the energy and feel of his younger self. Whatever he’s doing is really working for him, so he should keep on doing it. Keene’s new album, Laugh in the Dark, which dropped Sept. 4 on Second Motion Records, ranks with the best work he’s ever done. You can hear the new material live when he plays The Bowery Electric in New York City this Thursday. The new album’s lyrics reflect the breadth of Tommy Keene’s life experience — and tap beloved musical influences to create a collection of 10 spectacularly original, yet comfortably familiar, tunes. The title song has a subtle, classic Matthew Sweet feel to it, while “All Gone Away,” the bittersweet album closer wraps its heavy Beatles vibe in Keene’s trademark jangly guitar. In between are eight other strong tunes that make Laugh in the Dark a fabulously tight, 37-minute slice of power pop perfection. Laugh in the Dark is Keene’s return to originals after his last release, Excitement at Your Feet, which was a 2013 collection of covers. The new collection also marks a change in Keene’s approach to making an album. Early on, Keene says, he got into the groove of writing too many songs for each new album. As a result, he used the best of the leftovers for his next project, creating a sort of genetic connection from one album to the next. This time, though, Keene wanted to start with a “fresh slate,” writing all new songs specifically for this release — with no recycling of tunes he had lying around. The only thing recycled on the new record, as Keene freely admits, is his musical influences. 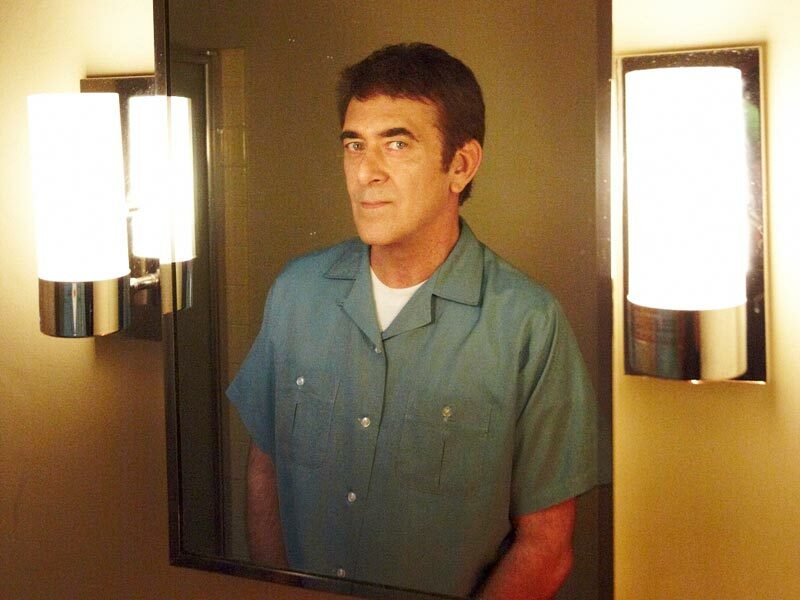 Tommy Keene plays The Bowery Electric, 327 Bowery, Manhattan, with power pop band Dot Dash on Thursday, Sept. 17. Doors at 6:30 p.m., music at 7. Go here for tickets, which are $15 in advance. Call 212-228-0228 for club information. This entry was posted in Concerts, Music, Pop and Rock, Recordings, Review and tagged Laugh in the Dark, The Bowery Electric, Tommy Keene. Bookmark the permalink.